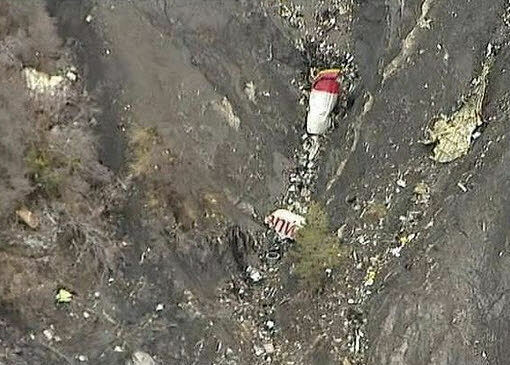 It’s looking more like GermanWings Flight 4U9525 was deliberately flown into the Swiss alps. It has been said that First Officer Andreas Lubitz, 28, was alone at the controls of the Airbus A320 as it began its rapid descent. Passengers cries were heard on the plane’s cockpit voice recorder in the moments just before the plane slammed into the French Alps, Marseille Prosecutor Brice Robin told a news conference. Banging sounds also were audible, he said, suggesting the captain was trying to force his way back into the cockpit. However, the reinforced cockpit door was locked from the inside and could not be overridden, even with a coded entry panel. There was no reason to put the plane into a steep descent, nor to not respond to air traffic controllers. Was it suicide? I’m not using the word, I don’t know. Given the information I have at this time – I can tell you that he deliberately made possible the loss of altitude of the aircraft. Here is a short video that shows the procedure to gain access to an Airbus A320 in an emergency. Three Americans were among the 150 people killed in the disaster, whose victims included sixteen high school children on an exchange visit, babies, businessmen and two opera singers. More details are available here.